Among the items that had been found on the man’s body was an unused railway ticket from the city to Henley Beach. 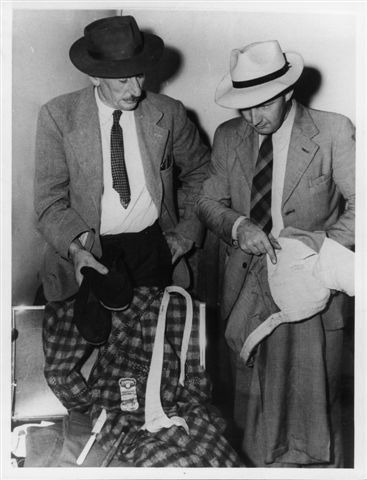 Detectives Lionel Leane and Len Brown made enquiries at the Adelaide Railway Station in January 1949 to see if the man had left anything behind. They discovered a brown suitcase had been deposited in a locker at the railway station the day before the body had been reported to police. Detectives Leane and Brown were also able to confirm an association between the suitcase and the man because of distinctive orange thread found within the suitcase. The same thread had been used on the trousers the man was wearing at the time of his death. The suitcase appeared to be almost new, and curiously it had no identifying markings or tags. Inside was a dressing gown, pyjamas, slippers, handkerchiefs, singlet top, tie and trousers. 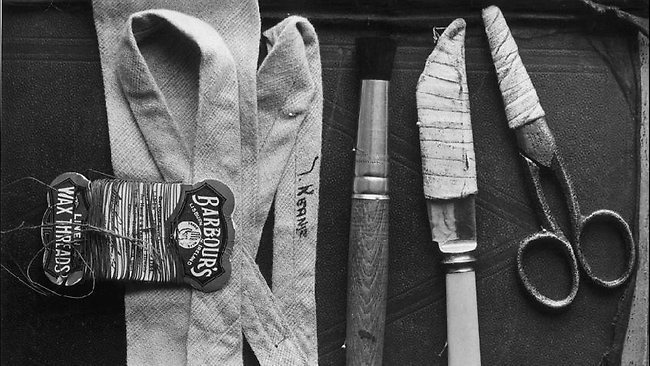 There was also shaving equipment, a screwdriver, a stenciling brush, scissors and a table knife. Some of the garments found in the luggage provided police with a new clue. A dry-cleaning mark and three labels were found on items within the case; however, despite an exhaustive search, police were unable to draw any further conclusions. Meanwhile, claims of the man’s identity continued to pour in to the South Australian police. He was reported to be the brother of a woman from Victoria, a missing husband from New South Wales, and a man who had served with the Defence Forces in Western Australia. Some thought he might even be a Displaced Person, who had migrated to Australia following the Second World War. Each of these claims were investigated and ultimately rejected. It appeared that the man or someone else had gone to great lengths to conceal his identity. Attempts to trace the origin of his clothing also proved elusive. A local tailor suggested that the man’s coat could have only come from the United States. A review of the train schedule by detectives revealed that the man had likely arrived in Adelaide from Melbourne, Sydney or Port Augusta. However, this too could not be verified. Where had the man come from? Was he from South Australia, one of the other states, or even from overseas? What had prompted his fateful journey to Adelaide? 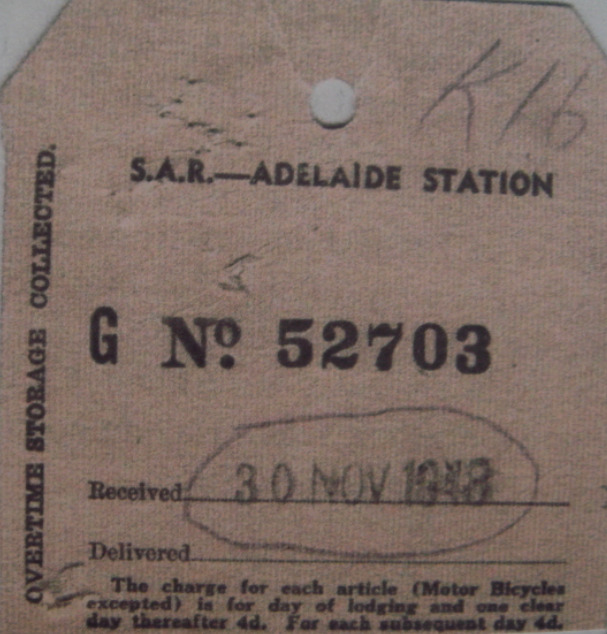 Adelaide City Explorer Team, “Somerton Man Mystery: Adelaide Railway Station,” Adelaide City Explorer, accessed April 26, 2019, https://adelaidecityexplorer.com.au/items/show/166. Feltus, G.M., The Unknown Man: A suspicious death at Somerton Beach. Greenacres: Gerald Michael Feltus, 2011.